Honda Morristown's finance department is staffed with knowledgeable professionals that are eager to cater to your auto loan needs. Whether you're a first-time Honda buyer with no credit or a driver with a near perfect credit score, our team of experienced associates can assist! Don't let a few financial mishaps stop you from securing the Honda Odyssey you have your eye on, learn about our bad credit financing options today! Visit Honda Morristown in Morristown, TN near Jefferson City and Rogersville to sit down with a team member now. We'll listen to your needs, ask a few questions that provide some insight as to your financial background, and can help you complete a credit application if you'd like to apply for Honda auto loans. 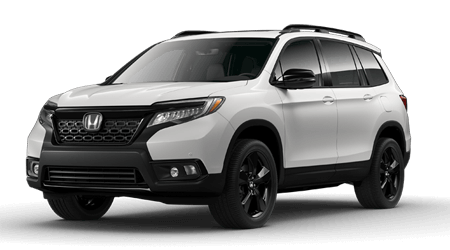 We also have a secure form right here on our website that makes it easy to apply for financing, so don't put off your new or used Honda needs, reach out to our friendly dealership now! We have helped many drivers secure financial assistance, and we are eager to assist with all your Honda loan needs soon.